An online service is an excellent way to increase your customer base and double your profits. But it is important to select the right platform before setting up your ecommerce website. 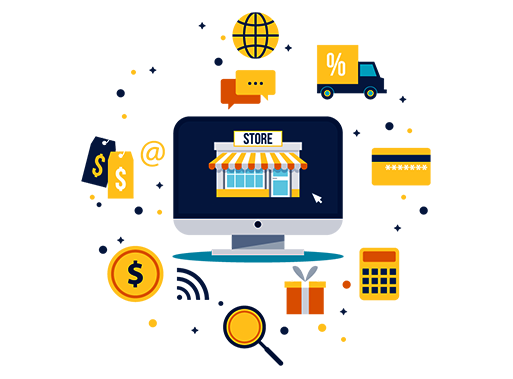 Fortunately, we have many online platforms with extra ordinary features that allow you to build an online store without any developer help. BigCommerce is such a professional platform. EDI, which stands for Electronic Data Interchange, is a key requirement for powerful parts of BigCommerce and exclusive storefronts to compare with their customers, retailers and complaints. 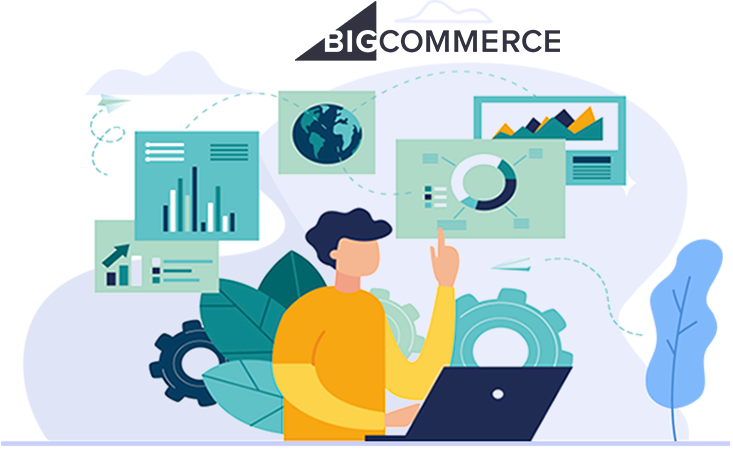 BigCommerce offers a variety of points that have been explicitly structured to enable our important customers to improve their ability, improve the accuracy rate and better satisfy the customers they serve on a daily basis. You can with BigCommerce EDI Integration solution Amosoft’s automated platform allows salespeople to fulfill orders, ship to customers or use our fully automated dropship. 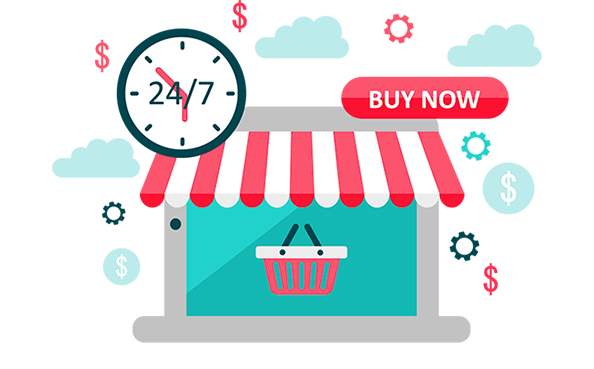 If your business is keep increasing, no worries at Amosoft we make BigCommerce Integration. Now you can get rid of to keep up and manage these orders, your valuable time takes more and more. You must take a look at the integration of BigCommerce and combine data from this rapidly growing platform into your own system. Our EDI software can be the internally and externally connecting portal for your business. What we do at Amosoft is to make order management a seamless part of your operation. 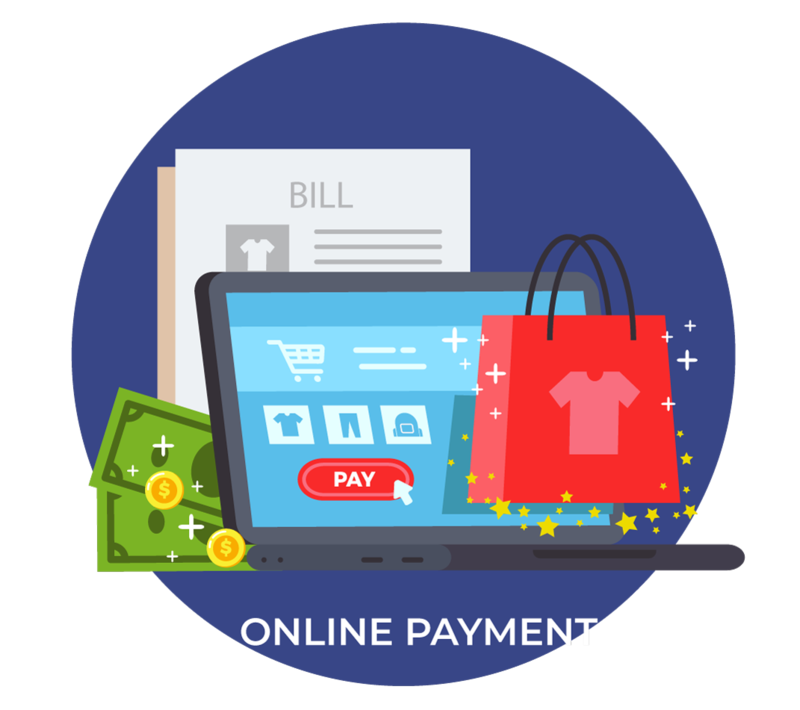 With help of our software is easily integrated into your backend accounting system to manage BigCommerce transactions together with orders from all your other sales channels. If you are doing drop ship business and selling online through Amazon or Walmart for example, these retailers are likely to impose certain rules and require you to participate in the EDI. They also impose similar rules and require the use of EDI if you're dealing with suppliers. If you sell online through your own store via BigCommerce and you have a large number of customers who expect to be informed of their orders at any time, this is another important reason why you should have EDI integrated into your shop. When you are dealing with shipping companies and you have high volume of shipments every day, you need to integrate your management system and BigCommerce with AmosoftEDI service. DI conducts all such transactions and any other transactions that may be required by your other party. 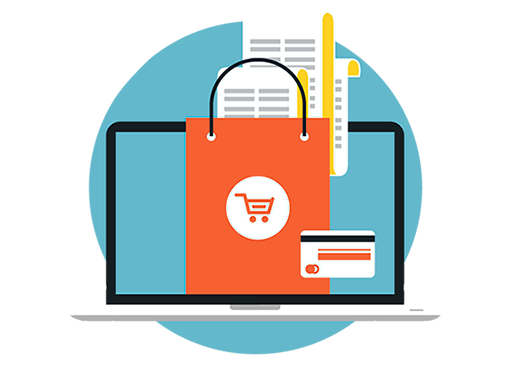 We can integrate into and from your existing Big Commerce platform without any flaws. Amosoft offers BigCommerce suppliers with drop shipping a custom- made EDI solution. We have all the tools and functionalities required to fully automate the order management process for drop ships in order to save time and costs. Automatically sending ship orders to suppliers and updating the shipping and tracking information to BigCommerce. With many customers and suppliers, Amosoft tested and certified the EDI integration. All types of EDI such as X12, XML and FTP are supported. Order Management : It will export orders from BigCommerce and automatically send them to your suppliers / vendors when they come. Inventory Management : It will update and import on BigCommerce. Reprice Immediately : Alter pricing to meet market conditions immediately. The ability to reprise at a moment's notice will allow the competition to advance. Automated Drop Ship : You can take advantage of fast unlimited quantities and price updates for inventories, the elimination of repeated manual order entries and significantly reduced payment cycles. Easy to Understand : If your company already uses BigCommerce for its e- commerce needs, but you are now searching for EDI, you have just made your last stop. You should be aware that Amosoft only has perfect BigCommerce EDI infusions. All is simple, straightforward, and most certainly affordable. You always have a satisfying answer to your problems. BigCommerce EDI Infusion : We all agree that this is perhaps one of the best ecommerce solutions available, but that it is simply not EDI. We absolutely cherished the BigCommerce platform. And we can imagine that you have customers or suppliers that recommend that you begin sending and receiving EDI transactions if you are here right now. 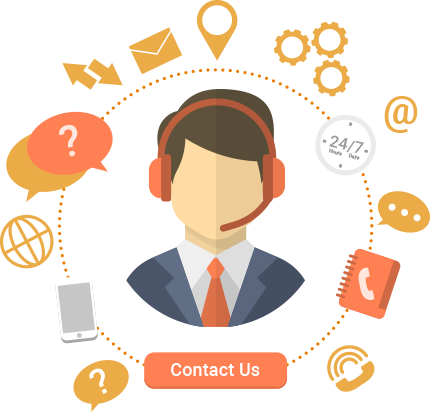 You can get hands free order management of Drop Ship. Update of automatic transmission and tracking numbers. No errors in data entry and communication. Enhanced business can be processed by more declining shipped products. The roll out of BigCommerce EDI ensures extremely optimized work flows and extremely lower response times, which often leads the top users to a much more precise and planned production and delivery plan. BigCommerce EDI technology improves your productivity and allows you to operate quickly with lower personnel. The team will be further artistic and can handle tasks at an extra cost. It can be calculated that EDI solutions from BigCommerce block document mistakes with a decent margin, ranging from 30 to 400. The use by sender and receiver of a standard format ensures the correct interpretation of the data, regardless of status or sector. Furthermore, mistakes are often avoided when entering information or lost files. The whole method is limited to just a few seconds with EDI. In addition, some studies suggest that operating prices are often reduced by around 60 per person. This may be mainly because automation allows you to perform tasks instantly, such as registering and supporting it immediately within the ERP, or reconciliation amounts due. This is the greatest advantage of BigCommerce EDI. With this deployment, the process value is reduced by only 35 times, but due to electronic invoices, the figure is significantly exceptional, wherever the savings are reached to 190.From one point of view, this extreme monetary saving is because of the automation of all kinds of transactions and, on the contrary, obvious the use of paper. So, if EDI integration is thus crucial in meeting client demands, enhancing worker potency, and streamlining the method of the delivery of products and services, why wouldn’t an organization use it? And how is a corporation imagined to assume that answer is that the right selection for its needs? Manage and govern your business transactions higher with Amosoft EDI Services. we have a tendency to mechanize EDI a method that connects, transform, and route EDI and non-EDI document between internal and business partner applications, while not the conditions for custom code. This empowers organizations to reduce operational immobility and dearly-won errors and permits organizations to begin operating with new commercialism partners faster. Amosoft EDI services provide slightly of everything to satisfy your BigCommerce EDI needs, from computerized toolsets to self-guided BigCommerce EDI incorporation method, together with machine-driven accomplice on boarding of recent commercialism partner. Or on the opposite hand, our Amosoft EDI Service specialist will affect all the EDI and B2B coordination method for you, with the ability and scalability that you simply genuinely need. Nevertheless however you affect your EDI, Amosoft can dependably make sure that you have got full access to each one among your info in real time, including online dashboards, exchange reports, and automatic notifications.